Aussies are now slower than ever, study finds | JustRunLah! 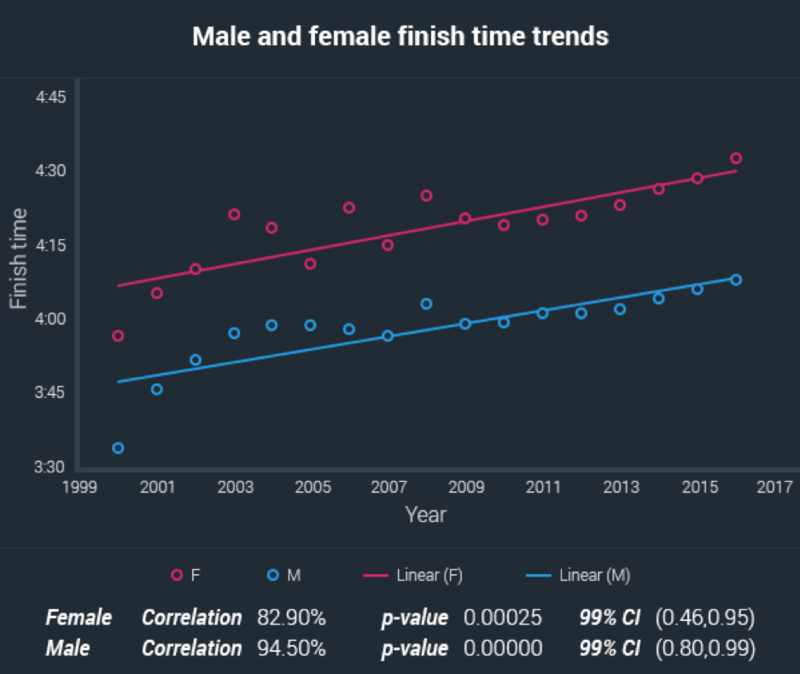 In a recent study, researchers from RunRepeat.com analyzed marathon timings in Australia from 2000 to 2016 and concluded that Aussies have never been slower. Their database includes 183,061 results from 154 different races. 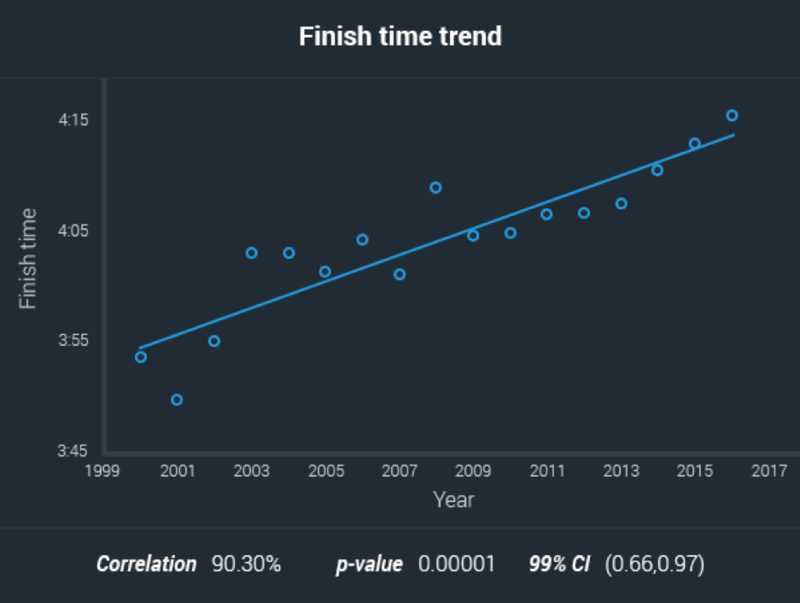 When they plotted the mean finishing times year after year (figure shown above), they observed a trend that indicates that Australian marathon participants have been getting progressively slower for the last 17 years. It is important to note that there is an average increase of about 20 mins in the average finishing time of a marathon in 2017, compared to 1999. The increase of the average age of the participants. However, what they have found is that these reasons can not explain the trend entirely. It is true that the numbers of marathoners have increased in the last 17 years. This might mean that the more popular marathon running becomes, more and more unprepared participants join and they drag the average down. 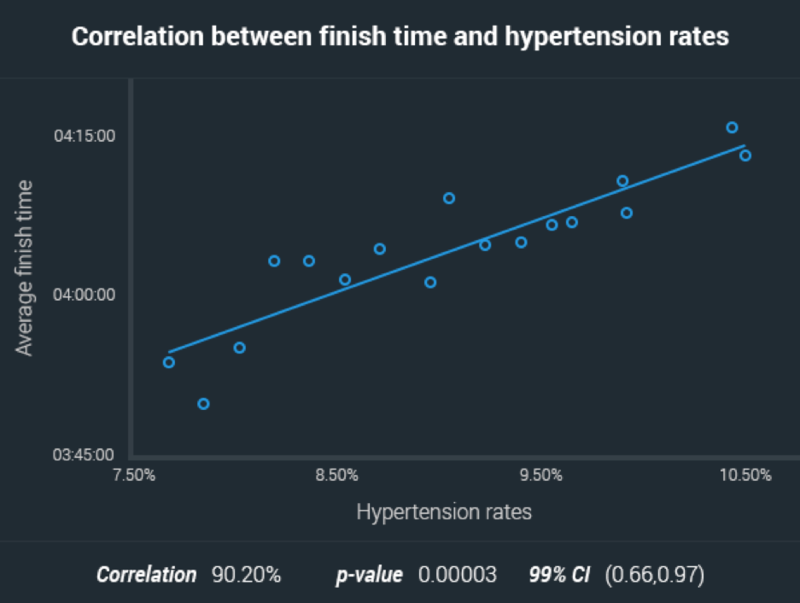 However, when the finisher times are segmented by speed, slowing down across all groups was observed. Additionally, the percentage of people, who just walk the race has been and still is minuscule and cannot be responsible for the overall increase in finishing times. Interestingly, contrary to the global trend, the average age of marathoners in Australia has been slightly declining. Such an argument, therefore cannot be valid. 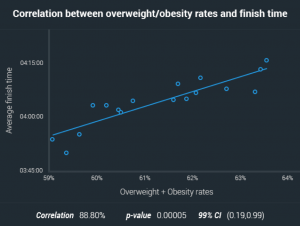 Obesity in Australia, as in most developed countries, is on the rise. 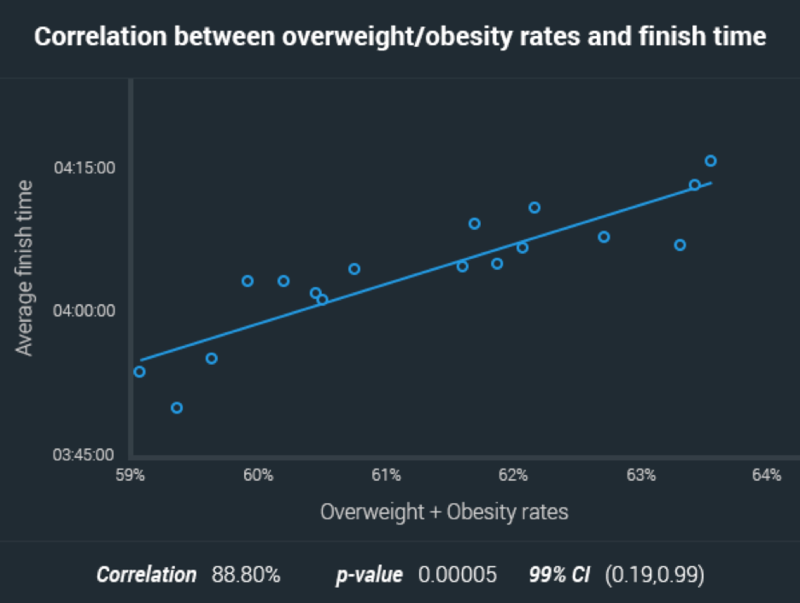 Researchers Andersen and Nikolova used the data on obesity from the Australian Bureau of Statistics and what they found is that both obesity and hypertension trends correlate strongly with the slow-down trend, both when studied in short- and long-term. 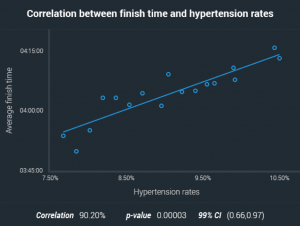 It is important to note that correlation is not causation and we can’t be sure that these results are the complete and only explanation for the slowdown of Australian marathoners, but it is worth noting that the deteriorating health seems to have an impact even on the more active and health-conscious marathon runners. 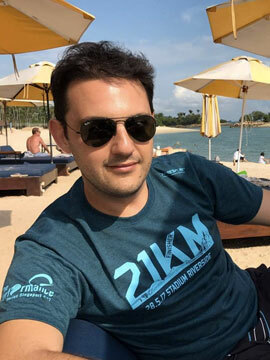 Looking for marathons and races in Australia? Use our free mobile app to discover and keep track of your next running events. Available for iOS / Android.